You know how important it is to get customers’ orders right. So why leave anything to chance? With MobileBytes online ordering system, you won’t. Your customers will find it so easy to use from whatever device they choose to use. We know that running a restaurant isn’t easy and competition is fierce, whether you are offering fine dining, a casual experience, takeout, delivery or a combination. Move your restaurant into the future with mobile online ordering. Employees won’t need to spend time on the phone – they can serve customers. Traditionally, online ordering was a term used to define restaurant orders that were placed through the internet typically from a customer’s desktop. Now 77 percent of Americans have smartphones, and they’re doing everything with them, including placing orders. Today, many restaurants are offering customers the chance to place orders and make inquiries online, on whatever device they use, without any interaction from the restaurant until pickup. This saves time and improves the accuracy of orders. Furthermore, applications such as Uber Eats, Door Dash and other food delivery services allow people to order food from multiple restaurants in one place. Are you poised to take advantage of this new method of ordering? Today, more than half of takeaway orders placed in restaurants are done through the Internet. Furthermore, many different sources have cited revenue increases of up to 30 percent for restaurants who use online ordering. Are you ready to see your revenues increase as well? It’s easy to use. MobileBytes allows your customers to modify their orders easily and without the assistance of your wait staff. This frees your staff to focus on in-house customers. Also, the ease of use empowers your clients and makes ordering simple creating accurate orders and less wasted food and labor. MobileBytes is simple to set up and manage. You can add, delete or modify your online menus in minutes. 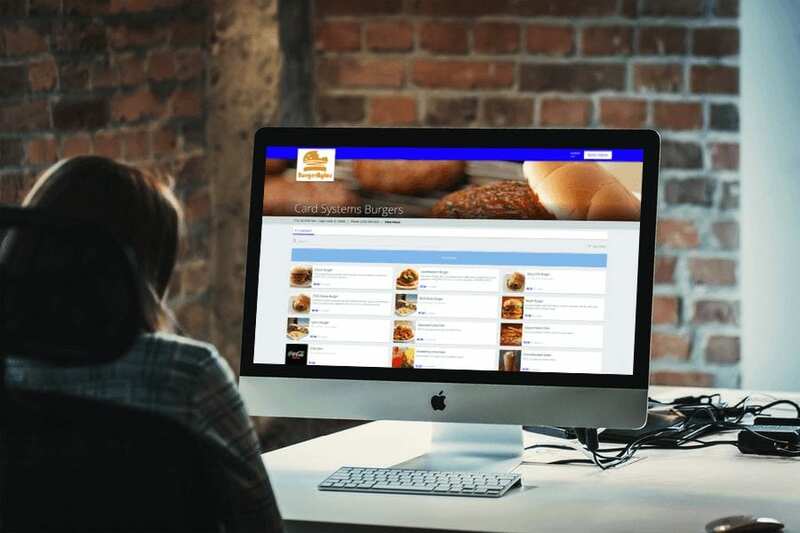 It makes running your online menu simple and creates a great customer experience. Your restaurant staff can easily manage daily specials on site, or you can, on any mobile device from anywhere in the world. Anyone you authorize can log in to MobileBytes and manage your business. Today, this is essential. With a responsive design and customer engagement, you can be miles ahead of other restaurants, giving you the edge. MobileBytes can be operated by any and all mobile devices with ease, and your customers can order from you, no matter where they are. MobileBytes gives you the most comprehensive online ordering system around. Don’t have a website yet? We’ll help you develop one so you can use the MobileBytes system. Give us a call today and make customers happy and your restaurant more profitable!